Therese Iknoian didn’t mean to learn German. In fact, she ended up in German class for two reasons: One, she couldn’t pronounce the word for frog in Spanish (“rana,” if you must know) and, two, all her friends were taking German. She kept on, finding a true love for languages, and even studying French (Trivia: She still prefers to use a French-German dictionary when studying). After two short tours at two different universities in Germany (Heidelberg and Hamburg), she finally fully delved into her chosen career as a journalist in the United States. Therese went on later to get her master’s degree in Kinesiology with additional work in Sports Nutrition, and then found her journalistic specialty in fitness, training, sports and outdoor, writing books and magazine articles. As the editor in chief of the leading U.S.-based trade news source for outdoor and fitness business news (SNEWS), she traveled to the trade shows in Germany where she fine-tuned her student-oriented linguistic training in beer-ordering to include a deep multi-lingual techy knowledge of hard goods and soft goods that range from boots to bikes, skis to soft shells, treadmills to trail shoes, and kayaks to yoga, plus a multi-lingual familiarity with economic and business processes. A career in translation and localization slowly developed – one she now loves. It allows her to combine her industry knowledge with her passion for languages, and her perfectionism as a writer and editor. More than a translator, she also does creative copywriting and consulting for companies, helping to develop voices and marketing materials. She particularly likes to become a true partner with any company she works with, finding the best ways to accurately express in English (U.S. or British) their soul and the essence of their product. Creative, cultural and journalistically inspired translations by an athlete – done right, done with passion. 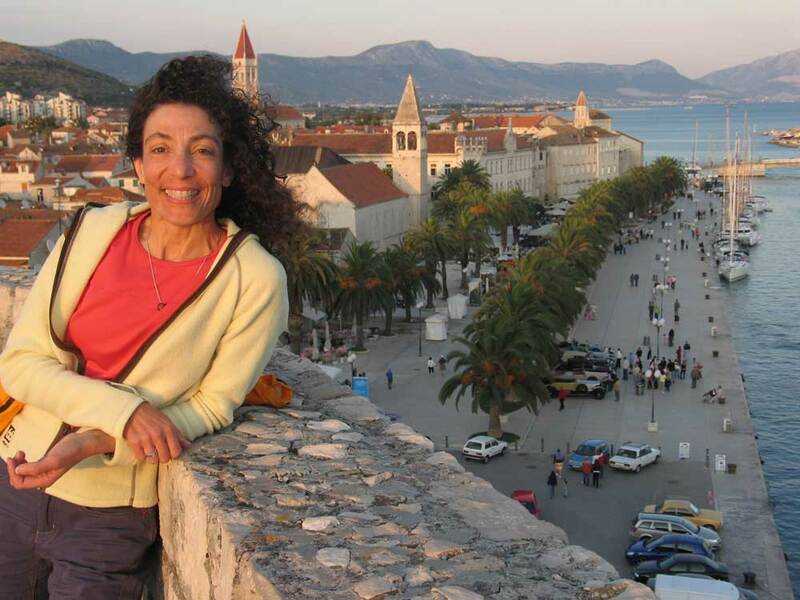 Still also busy as a writer, Therese has developed with her husband, Michael Hodgson, the HI Travel Tales website focusing on adventurous travel and travel gear testing. To contact Therese directly, click here. Therese in the news! Watch an interview here with Therese about her work, her specialty and her passion for it.